There’s nothing quite like the bond between a pet owner and their pet, and it’s safe to say that pets are absolutely part of the family. When they pass on after years of loyalty and love, it’s important that they be laid to rest like any other member of the family, and that their memory is immortalized as a tribute to their lives. 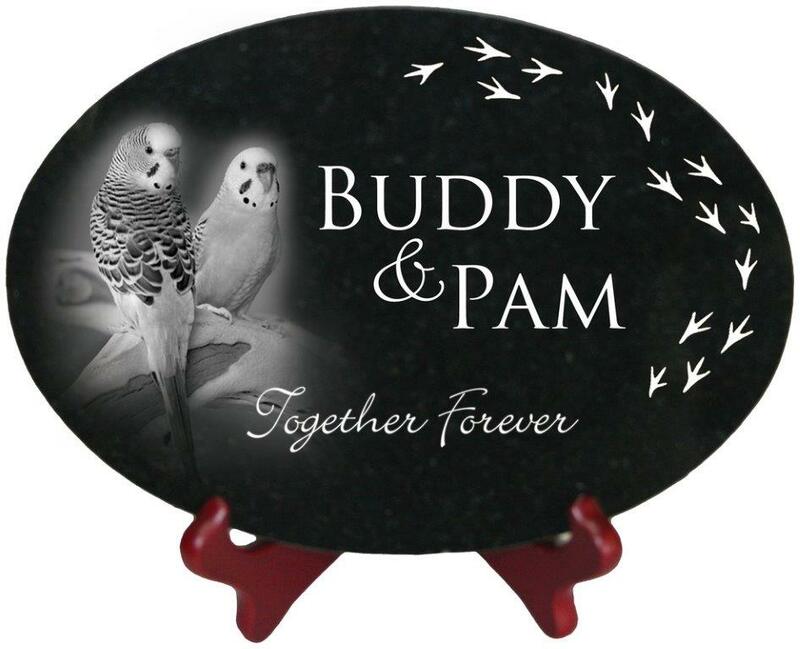 Granite pet memorials are a fantastic way to show your appreciation for your pet as they pass on, and they’ll serve as a reminder for years and years to come of the loving companion you had. Bianchi Memorials is happy to work with you to provide you with a memorial worthy of marking your pet’s final resting place. We take the same approach to pet memorials as we do grave markers and headstones for your human loved ones: getting to know every detail of what made your pet special in order to craft the best memorial possible. 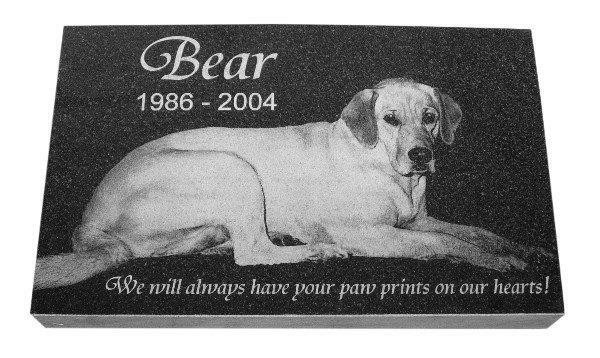 From the color of the granite used, to the font style and text of the memorial, to the shape and design of the entire thing, we want to make sure we deliver on our promise to immortalize your pet. 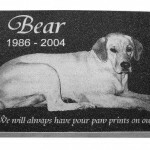 We can even work with you to have special symbols and characterizations engraved, to truly personalize granite pet memorials. Losing a family pet is always hard, but immortalizing them and honoring their memory shouldn’t be. Bianchi Memorials is ready to sit down with you to craft a beautiful, unique pet memorial that honors your pet as a true member of your family. Contact us today by calling 802-766-9254 to speak with a professional about the many options we have and customization capabilities. We’re certain that when we’re done, you’ll absolutely love the results. See Below for Examples of Quality Pet Memorials! 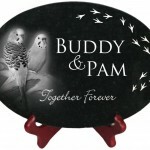 We do etchings on heart shaped plaques,square plaques and oval plaques. We also have 1-2 x 0-10 x 0-2 (length, width, and height) pet markers.